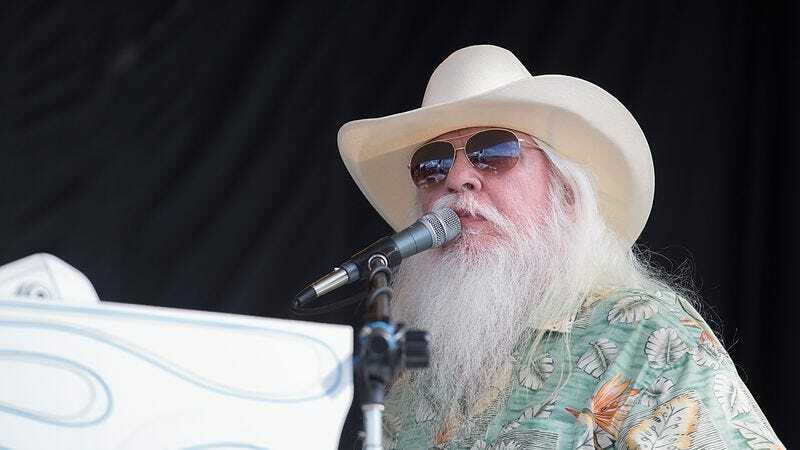 As reported by Rolling Stone, Leon Russell, a prolific songwriter who worked with artists and bands like Elton John, Bob Dylan, the Rolling Stones, Joe Cocker, and George Harrison has died after suffering a heart attack in July. Russell was 74. We thank everyone for their thoughts and prayers during this very, very difficult time. My husband passed in his sleep in our Nashville home. He was recovering from heart surgery in July and looked forward to getting back on the road in January. We appreciate everyone’s love and support. That song would go on to become Russell’s biggest hit, with tons of artists covering it over the years including the Carpenters, Willie Nelson, Ray Charles, the Temptations, and Andy Williams. In 2005, a duet version from Christina Aguilera and Herbie Hancock was nominated for a Grammy. In the ‘70s, Russell pulled back from the spotlight and continued working as a songwriter and producer for other performers. He produced or wrote for the Carpenters, Frank Sinatra, Sam Cooke, the Gap Band, the Beach Boys, and Willie Nelson, who would become a close friend of Russell’s and a big supporter of his work. Over the next few decades, though, Russell’s output began to decrease, and though he released a number of solo albums, none of them made an especially big impact. Then, in 2010, Elton John specifically tracked him down so the two could work together on a collaborative album. Titled The Union, it ushered in a renewed interest in Russell’s older work, and he began touring again. As noted on his website, his last show was on July 10 in Nashville.